This week’s notable decision is an awesome post-Heimeshoff contractual limitations case out of the great state of California: Gray v. United of Omaha Life Ins. Co., No. CV 16-7383 MWF (JCX), __F.Supp.3d__, 2017 WL 1654077 (C.D. Cal. May 1, 2017). Gray involves a denial of long term disability benefits for a claimant alleging to have been continuously disabled since he stopped work completely in November 2011. 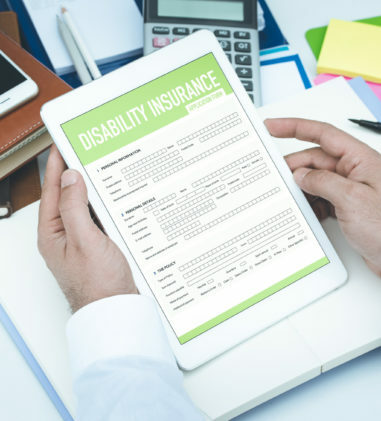 Plaintiff was unaware of disability coverage through his employer until 2013, but despite his requests, he was unable to obtain a copy of the disability policy until July 2015. Gray submitted a disability claim on August 18, 2015 and exhausted his administrative remedies on September 23, 2016. He filed his lawsuit three days after his attorney received the final denial letter. Cal. Ins. Code § 10350.7 (emphasis added). The court determined that the phrase “period for which the insurer is liable” refers to the entire period of disability, and proof of loss is not required until that period ends. Section 10350.7 must be read into the group policy since the policy’s language requiring proof of loss within a year and 180 days from the date of the disability’s onset is less protective than the language of section 10350.7. 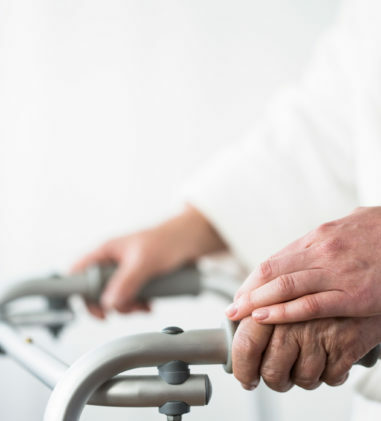 Since Plaintiff alleges ongoing disability, under section 10350.7, proof of loss was not yet required so the contractual limitations period has not run. 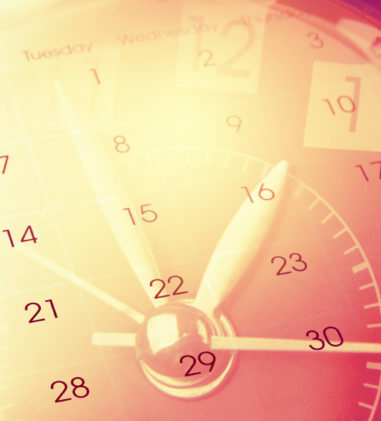 Following California’s statutory limitations period, which accrued at the time of the final denial, Plaintiff filed his claim well within the four-year statute of limitations period. So Gray isn’t out of time after all. And if you’ve got more time, read about all the other notable decisions below. 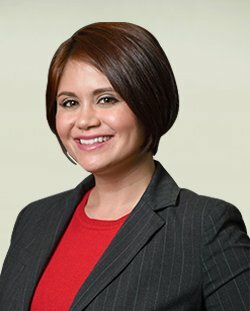 Prather v. Sun Life Financial Distributors, Inc., No. 14-3273, 2017 WL 1528685 (C.D. Ill. Apr. 27, 2017) (Judge Richard Mills). 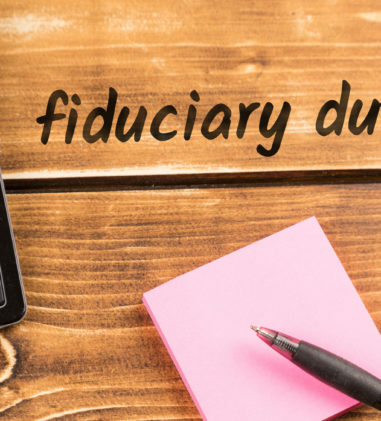 Following an award of long term disability benefits by the Seventh Circuit, the court ordered Sun Life to pay Plaintiff’s attorney’s fees in the amount of $29,575.50 and prejudgment interest in the amount of $10,936.59 (Federal Prime Rate of 3.75% compounded over 3 years). Ruiz v. Publix Super Markets, Inc., No. 8:17-CV-735-T-24 TGW, 2017 WL 1683659 (M.D. Fla. May 3, 2017) (Judge Susan C. Bucklew). 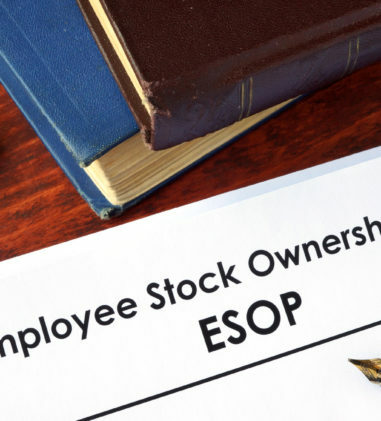 The court previously ruled that Ruiz was not the beneficiary of ESOP and 401(k) Plan benefits because the participant did not strictly comply with the requirements for filling out the Beneficiary Designation Cards in order to make Ruiz the beneficiary. Defendant subsequently moved for fees. An ERISA defendant’s failure to request attorneys’ fees in its answer does not bar a later motion for attorneys’ fees but fees are not warranted in this case upon consideration of the five factors. Lee v. Equity Properties Asset Mgmt., Inc., No. 8:13-CV-2239-T-30AAS, 2017 WL 1552243 (M.D. Fla. May 1, 2017) (Judge James S. Moody, Jr.). Mitchell seeks attorney’s fees under 29 U.S.C. § 1132(g) for his work representing Plaintiff in this action, where he previously imposed a charging lien that the Court discharged because ERISA’s anti-alienation provision prevented Mitchell from attaching his lien to Plaintiff’s pension benefits. Although Plaintiff had the right to seek an award of fees, there is no evidence that he assigned this right to Mitchell and Plaintiff waived his right to have Defendants pay his attorney’s fees as part of the settlement they executed. Thus, Mitchell is not entitled to an award of fees. Hugler v. Vinoskey, No. 6:16-CV-00062, 2017 WL 1653725 (W.D. Va. May 2, 2017) (Judge Norman K. Moon). The court denied Michael New’s (a lawyer who oversaw the an ESOP transaction) motion to dismiss him from this case alleging breach of fiduciary duty related to an ESOP because the Secretary pled sufficient facts about New exercising discretionary authority or control over the management of the ESOP that the court found that he was a de facto fiduciary. Pender v. Bank of Am. Corp., No. 3:05-CV-00238-GCM, 2017 WL 1536234 (W.D.N.C. Apr. 27, 2017) (Judge Graham C. Mullen). In this decade-long matter arising out of the decision by NationsBank, a company that subsequently merged with Bank of America, to allow its employees to transfer their 401(k) assets to a cash balance defined benefit plan, the court concluded that under the appropriate analysis, the bank did not retain any profit. Hancock v. Aetna Life Ins. Co., No. C16-1697JLR, __F.Supp.3d__, 2017 WL 1710968 (W.D. Wash. May 3, 2017) (Judge James L. Robart). In this lawsuit involving a denial of disability benefits, the court found that Plaintiff’s Section 1132(a)(3) claim is not duplicative because it does not seek relief available to her under Section 1132(a)(1)(B). Here, Plaintiff seeks a two-part injunction requiring Aetna to (1) establish administrative processes and safeguards to ensure and verify appropriately consistent decision making, and (2) train and supervise its employees to ensure they are aware of and follow administrative processes and procedures. The court found that Aetna has not met its initial burden of demonstrating that there is no genuine dispute of material fact whether Aetna unreasonably delayed Plaintiff’s s appeal by invoking a 45-day extension, where it assigned a peer review on the twenty-eighth day of the 45-day appeal period. Donlick v. Standard Ins. Co., No. 316CV617FJSDEP, 2017 WL 1683060 (N.D.N.Y. May 2, 2017) (Judge Frederick J. Scullin, Jr.). Plaintiff has not established “good cause” to go beyond the administrative record. 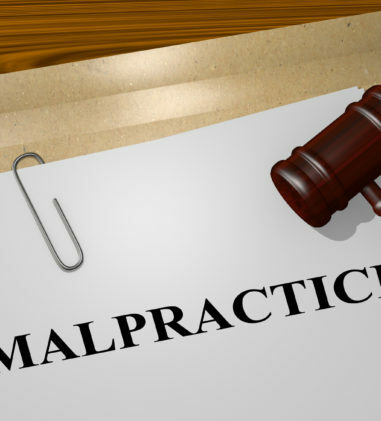 Standard’s decision to deny Plaintiff’s long term disability claim is not an abuse of discretion where three doctors did not opine that Plaintiff would have any difficulty performing sedentary work and Standard also relied on independent vocational experts. Rothe v. Duke Energy Long Term Disability Plan, et al., No. 16-4225, __F.App’x__, 2017 WL 1628993 (6th Cir. May 2, 2017) (BEFORE: COLE, Chief Judge; SUTTON and KETHLEDGE, Circuit Judges). Liberty Life’s Vocational Case Manager reasonably compared Plaintiff’s duties, as described in his job description, to the DOT to determine the best comparison for Plaintiff’s job in the national economy. Even if Plaintiff’s medications would cause him to fail a federally required drug test, his “own occupation” is a gas dispatcher, which is not a federally regulated position. The conclusions of each expert were not uniform and Liberty Life did not abuse its discretion in weighing the conflicting reports and finding that Plaintiff was not disabled. Byrd v. Wellpoint Flexible Benefit Plan & Anthem Life Insurance Company, No. 4:17 CV 0008 JMB, 2017 WL 1633204 (E.D. Mo. May 2, 2017) (Magistrate Judge John M. Bodenhausen). Plaintiff is not judicially estopped from pursuing her long term disability claim for failing to disclose it in her bankruptcy proceeding. Here, Plaintiff’s claim under Section 1132(a)(1)(B) accrued when she received Anthem Life’s September 21, 2016 letter denying her application for LTD benefits. This was nearly three months after the bankruptcy petition was filed, nearly two months after she had filed her bankruptcy disclosures, and a month after she converted her case from Chapter 13 to Chapter 7. By the time the cause of action accrued in September 2016, the action had already been converted to a Chapter 7 case so the ERISA enforcement claim was a post-petition asset of Plaintiff and not part of the estate. Remington v. J.B. Hunt Transp., Inc., No. CV 15-10010-RGS, 2017 WL 1552316 (D. Mass. Apr. 28, 2017) (Judge Richard G. Stearns). 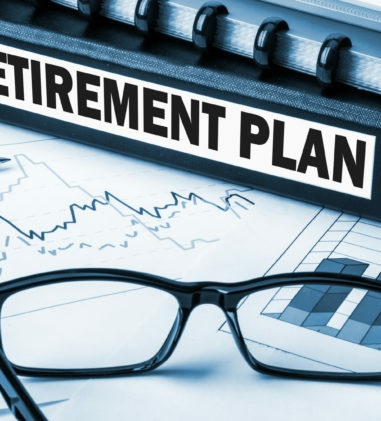 Plaintiffs seek to recover benefits that they would have received had they been classified as employees under ERISA-administered plans. The court found Plaintiffs’ Wage Act claims “related to” the ERISA plans because the court necessarily has to construe and interpret the plans in order to adjudicate Plaintiffs’ alleged eligibility and to determine the value of any benefits they would have received under the plans. As such, Plaintiffs’ claims are preempted by ERISA. Kaiser Found. Health Plan, Inc. v. Hawaii Life Flight Corp., No. CV 16-00073 ACK-KSC, 2017 WL 1534193 (D. Haw. Apr. 27, 2017) (Judge Alan C. Kay Sr.). KFHP offered to its members who received air ambulance services from HLF defense and indemnification. The court declined to find that these indemnity promises are part of the ERISA benefits plans for purposes of ERISA preemption. Lane v. S Bank, No. CV414-092, 2017 WL 1591885 (S.D. Ga. Apr. 28, 2017) (Judge William T. Moore, Jr.). Plaintiff brought state law claims against Defendant for terminating his employment after it promised to continue to employ him if he gave up his Salary Continuation Agreement (top hat plan), which he did. Since Plaintiff is seeking reinstitution of ERISA plan benefits, his claims are completely preempted by ERISA. Metro. Life Ins. Co. v. Brown, No. 16-10500, 2017 WL 1543893 (E.D. Mich. Apr. 28, 2017) (Judge Denise Page Hood). In this interpleader action filed by MetLife, the court awarded 100% of the life insurance benefits to the decedent’s daughter, where the beneficiary form split the proceeds between the decedent himself and his daughter, but where she is the sole surviving child and decedent was not married. The court rejected the decedent’s father’s argument that the decedent meant to name the father (same name but different middle initial) as a 50% beneficiary but made a typo. There was no evidence suggesting that the decedent intended to name his father as a beneficiary, but also there was no reason to look outside of the beneficiary designation form. Spizman v. BCBSM, Inc., doing business as Blue Cross Blue Shield of Minnesota, No. 16-1557, __F.3d__, 2017 WL 1717506 (8th Cir. May 4, 2017) (Before LOKEN, MURPHY, and KELLY, Circuit Judges). The court affirmed the district court’s dismissal of Plaintiff’s claim for medical benefits, finding that the interpretation of “private-duty nursing” as excluding Plaintiff’s round-the-clock in-home nursing care “is consonant with the term’s commonly understood meaning and dictionary definition.” Plaintiffs’ ERISA Section 502(a)(3) claim is also properly dismissed because an equitable estoppel theory cannot prevail when ERISA plan terms are unambiguous. Romero v. Allstate Ins. Co., No. 01-6764, 2017 WL 1508879 (E.D. Pa. Apr. 27, 2017) (Judge Kearney). Following the Phase I bench trial on ERISA’s anti-cutback rules, the court found that Allstate’s November 1991 amendments eliminating the “beef-up” subsidy did not violate ERISA’s anti-cutback rules because Allstate guaranteed participants in the Plan on December 31, 1988 the greater of two alternatives with a baseline of their beef-up subsidy as of the amendment. The court found that the participant could only do better after the amendment. 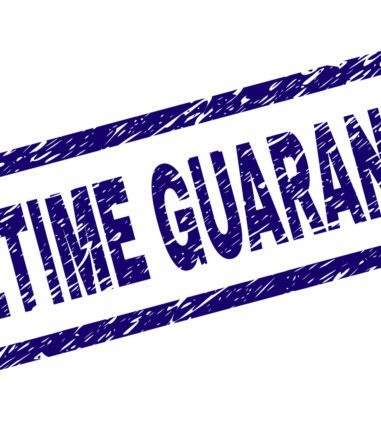 But, Allstate’s interpretation of the term “retire” in its Plan denying beef-up eligibility to agents with the requisite service years at the time they became exclusive agent independent contractors and who later ceased exclusive agent service at the age of at least 55, but less than age 63, is a cutback prohibited by ERISA. Anheuser-Busch Companies Pension Plan v. Laenen, et al., No. 4:15 CV 1005 CDP, 2017 WL 1684730 (E.D. Mo. May 3, 2017) (Judge Catherine D. Perry). The court previously ruled that the Franklin County Circuit Court’s Order entered March 16, 2015 does not qualify as a QDRO under ERISA and Laenen filed a motion in state court to modify or amend the Franklin County March 2015 Order. In an exercise of discretion, the court stayed the case pending resolution of the related state-court matter. Electrostim Med. Servs., Inc. v. Health Care Serv. Corp., No. CV H-11-2745, 2017 WL 1710567 (S.D. Tex. May 3, 2017) (Judge Lee H. Rosenthal). Electrostim’s motion for leave to file the third amended complaint is denied because futility and other arguments weigh against granting leave. A new proposed amended complaint must limit its factual basis to the claims identified in the Blue Cross spreadsheets incorporated into the second amended complaint; the new reimbursement claims not included in the second amended complaint cannot be added by amending at this stage of the litigation. Cooper v. Occidental Petroleum Corporation, No. 16-CV-687-TCK-TLW, 2017 WL 1652576 (N.D. Okla. May 1, 2017) (Judge Terence Kern). Defendants filed a motion to dismiss on the basis that Plaintiffs lack standing to pursue claims under the 2015 Supplementary Separation Plan. Specifically, Defendants argue that Plaintiffs were not participants in the 2015 SSP because Defendant determined that their separation would not result in “a position elimination, cost savings, or other operational efficiencies.” The court denied the motion, finding that Plaintiffs have exercised their right to challenge the denial of benefits in court and are “participants” entitled to seek review. Shah v. Horizon Blue Cross Blue Shield Of Massachusetts, No. 16-5946, 2017 WL 1745608 (D.N.J. May 4, 2017) (Judge Noel L. Hillman). 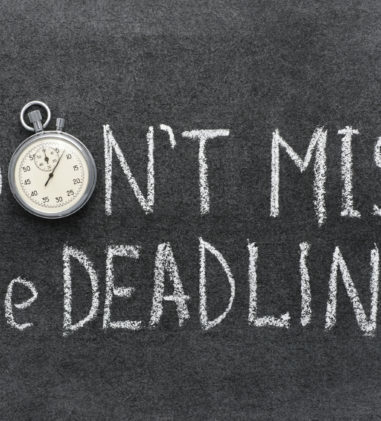 Defendant’s standing argument (based on anti-assignment clause) and limitations period argument are not ripe for decision on a motion to dismiss. The breach of contract claim and violation of 29 CFR Section 2560.503-1 claim will be dismissed; the former voluntarily, the latter because the regulation does not give rise to a private right of action. OSF Healthcare System v. Matcor Metal Fabrication (Illinois) Inc., No. 1:16-CV-1052-SLD-JEH, 2017 WL 1740022 (C.D. Ill. May 3, 2017) (Judge Sara Darrow). 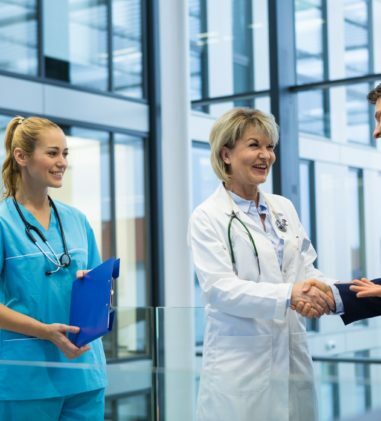 The Plan’s generic commitment to direct payment to providers is not sufficient to assign the patient’s appeal rights to OSF or otherwise make it an ERISA beneficiary. Motion for reconsideration of the motion to dismiss is denied. Romero v. Allstate Ins. Co., No. 01-6764, __F.Supp.3d__, 2017 WL 1508878 (E.D. Pa. Apr. 27, 2017) (Judge Kearney). With respect to Allstate Insurance Company’s November 1999 decision to terminate its remaining employee sales agents and offer them independent contractor status, there are no genuine issues of material fact and the employee insurance agents cannot show Allstate decided to terminate its remaining employee agents regardless of age or pension status to eliminate older sales agents or stop pension accruals. The court found no evidence that Allstate’s business decision is a pretext to conceal a motivating reason to discriminate based on age or to eliminate future pension benefits. Hewitt v. W. & S. Fin. Grp. Flexibly Benefits Plan, No. CV 16-120-HRW, 2017 WL 1658825 (E.D. Ky. May 1, 2017) (Judge Henry R. Wilhoit, Jr.). The Plan required any lawsuit be filed within 6 months of a final decision. Plaintiff did not file his complaint for 10 months, thus his claims are time-barred and dismissed. Williams v. Ascension Health Long-Term Disability (LTD) Plan, No. 16-1361-JTM, 2017 WL 1540635 (D. Kan. Apr. 28, 2017) (Judge J. Thomas Marten). The court granted the LTD Plan’s motion to transfer venue to the United States District Court for the Eastern District of Missouri because forum-selection clauses are presumptively valid and Plaintiff has not argued that the clause was induced by fraud, that the Eastern District of Missouri federal court would ineffectively or unfairly handle the case, or that the inconvenience to her is unjust or unreasonable.